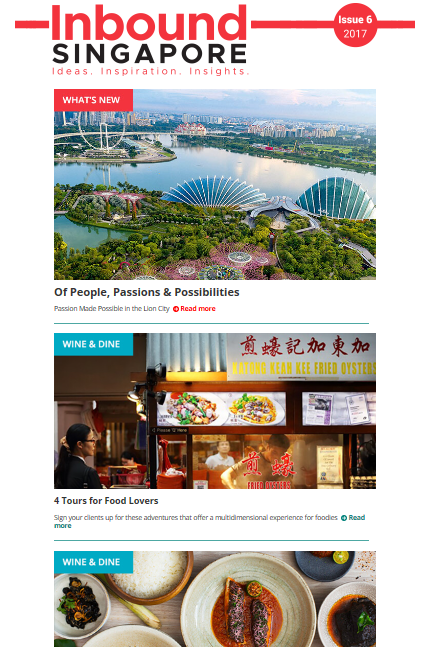 A bi-monthly E-newsletter, Inbound Singapore shares exclusive insights on unique, off-the-beaten-track and evergreen experiences for visitors to the Lion City. Read the current issue he​r​e. To subscribe to our newsletters, please click here​​​​​​​​​​​​​​​​​​​​​​​​​​​​​​​​​​​​​​.